Bjorn is a 36 year veteran of federal service retired now as the Rocky Mountain Regional Director for Fire and Aviation Management, Air Resource Management, and State and Private Forestry programs. Bjorn's career has taken him to many important assignments through our nation including Wahsington D.C. where significant responsibilities were trusted to him by the President's administration. He has managed our nation’s natural resources through roles as District Ranger, Forest Supervisor, Regional Director, and National Director. Bjorn's aptitude for leadership has earned him fire management responsibilities including Lead Federal Agency Representative for Incident Management, Area Command Staff, Incident Commander, Operations Section Chief, Planning Section Chief, Fire for Resources Benefits Commander, Fire Behavior Officer, Fire Information Officer, and Burning Boss. Bjorn completed graduate school for the Senior Executive Service and holds a Bachelor of Science Degree in Forest Resource Management from the University of Minnesota. The founder of DES, Bjorn Dahl, is originally from a small valley on the outskirts of Norway's largest lake, Mjøsa, in Gjøvik, Norway. There in the small valley called "Dahl", Bjorn's ancestors have managed the family's forest as a reproductive natural resource for serveral generations. 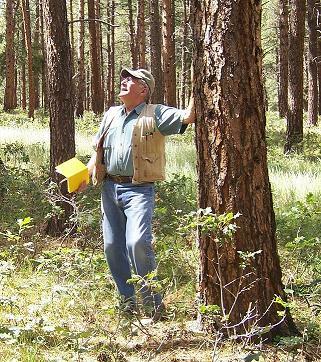 The knowledge passed down to Bjorn, century old forestry techniques, combined with contemporary techniques learned in the United States, provides DES with exception diversity. Ask Bjorn about "Dahl" he would love to tell you about it!